Guacamole is created from fresh avocados, a rich source of healthy fats. acid balance in the body. Squeeze avocado flesh into a large bowl and add lime juice, garlic, onion, olive oil and jalapeno. 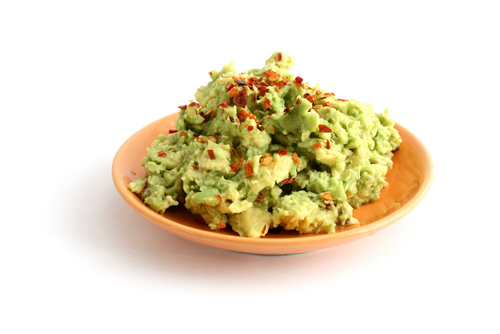 Gently mash avocados with a fork and mix ingredients together well. Top with cayenne pepper and enjoy with baked tortilla chips or hard bread. Nutritional Benefits: Omega 3 Fatty Acids, Healthy Fats. Category: Side Dish, Appetizer, Hors D’Oeuvres.